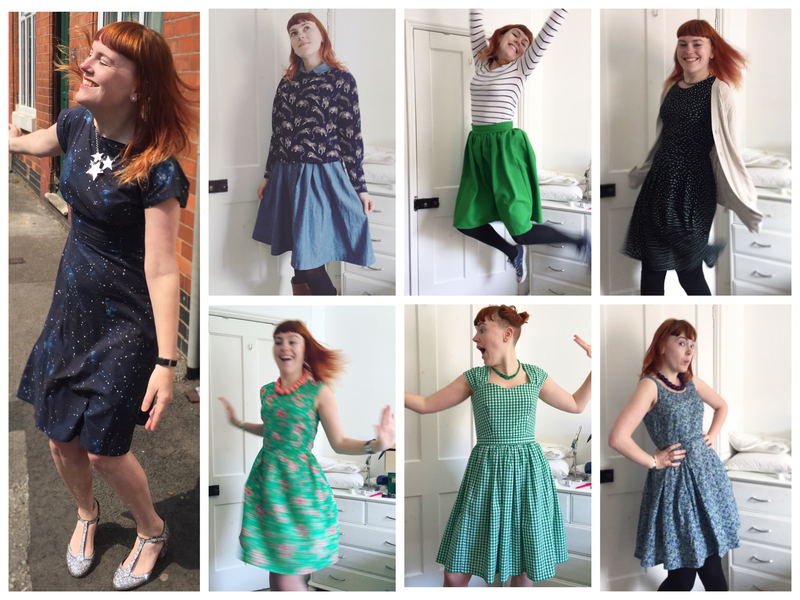 Me Made May 2016 – week one roundup | More blue fabric? This year, for the first time, I’m taking part in Me Made May, an annual challenge organised by Zoe of So Zo. My pledge is to try and wear at least one item of handmade clothing each day during May. I’ve really enjoyed Me Made May so far, and am looking forward to the rest of the month, not least because it’s a great excuse to get on some of my favourite clothes and prompt conversations about dressmaking with people who might not otherwise have thought about it. Whether I actually manage it is an entirely different matter, but here’s hoping I’ll be doing a final round up in 23 days! Awesome outfits this week Rhiannon. Lovely shades of green…. and blue. My favourite is that bright green skirt. It looks fab with the stripy top!